It’s time to tap into a more “electric” side of electronic music. Enter: DØT, the musical project of Luca Fantasmi, from Milan, Italy. His music is described in many ways; Futurestep, IDM (Intellligent Dance Music), and Glitchcore are among some of the genres listed on his website. His Magnetic Love EP is a good blend of all those genres and a good representation of the style that Luca loves. If I could only write about this album in one sentence I would say it’s like being sucked into an on-rail shooter game set in the future that’s been hacked and glitched out. Making a strong opening statement with sharp, fast synths, DØT starts off this EP with Scene 1 Take 1. Luca pulls no punches introducing us to his glitchy sounds which he quickly layers over drums that hold down the groove. He flexes his muscles by weaving different sounds in and out of this electronic sound field. Moving to the title track, Magnetic Love, Luca throws in some Drum and Bass as well as Glitch-hop grooves. Carefully switching between them, he controls the energy of this track while implementing an explosive bass and other crazy elements. DØT is one of those artist that has steadily formed their own style. You can listen to his older works and trace his development into the crazy and unique producer he is today. It will be interesting to see how his style and skill develops more over the next few years. 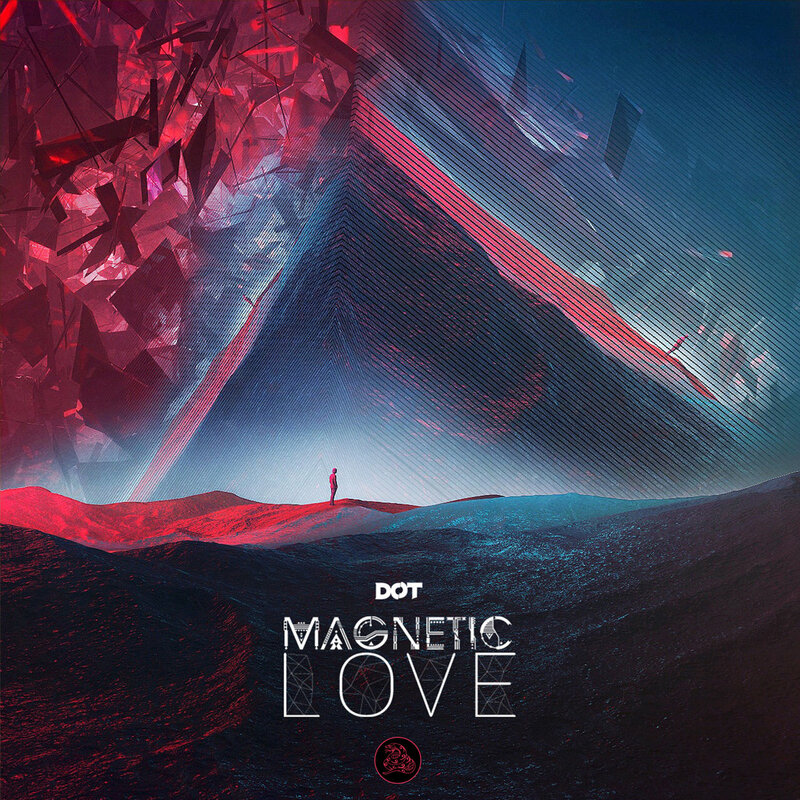 Magnetic Love EP was released through the Hebinomichi Collective to much acclaim. DØT also reached 1000 followers on Soundcloud recently. So download the EP today and feel the magnetic love.